Manila, Philippines - 'Bagyong Glenda' (Rammasun) has intensified further as it continues to move westward threatening Bicol region, PAGASA said on Monday, July 14, 2014 (1:00PM update). At 10:00 AM today, Typhoon “GLENDA” was estimated based on all available data at 620 km East of Virac, Catanduanes (13.3°N, 130.6°E). 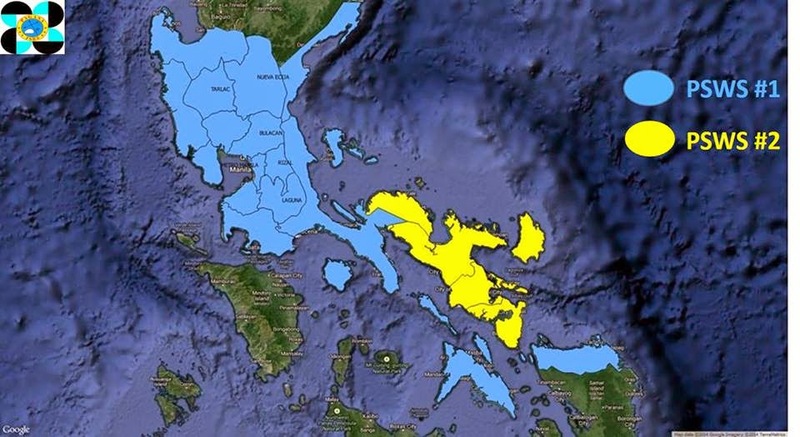 It has a maximum sustained winds of 95 kph near the center and gustiness of up to 120 kph. It is forecast to move West at 28 kph. 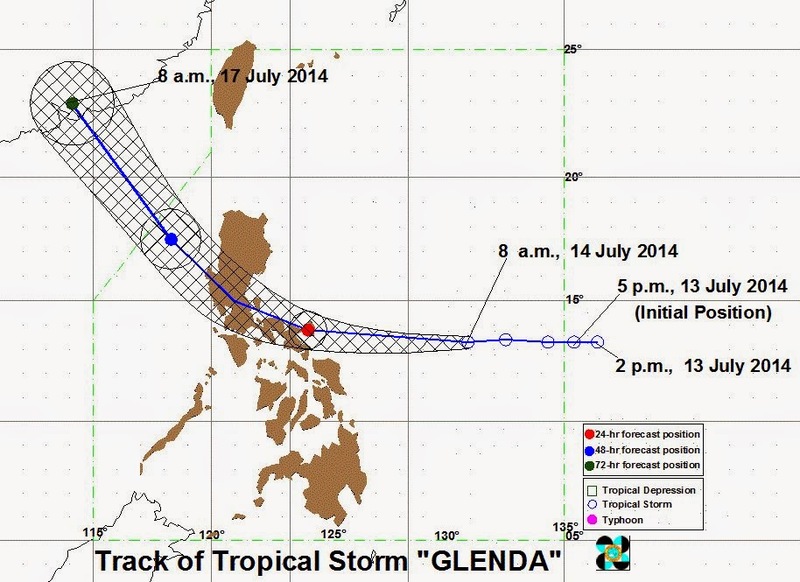 Tropical Storm“GLENDA” is expected to be in the vicinity of Virac Catanduanes by tomorrow morning and at 240 km Northwest of Dagupan City by Wednesday morning. By Thursday morning, it is expected to be in the vicinity of Southern China. Public Storm Warning Signal No. 2 (Winds of 61-100 Kph is expected in at least 24 hours): CamarinesNorte, CamarinesSur, Catanduanes, Albay and Sorsogon. Public Storm Warning Signal No. 1 (Winds of 30-60 Kph is expected in at least 36 hours): Masbate including BuriasIsland and Ticao Island, Marinduque, Quezon including Polilio Is., Batangas, Cavite, Laguna, Rizal, Bulacan, Pampanga, Bataan, Zambales, Tarlac, NuevaEcija, Pangasinan, Southern Aurora, Metro Manila and NorthernSamar.